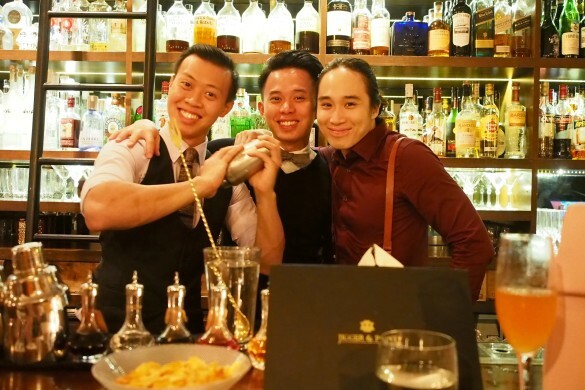 Nested at the ground floor of Oasia Hotel Downtown is Cin Cin – Singapore’s first gin bar. 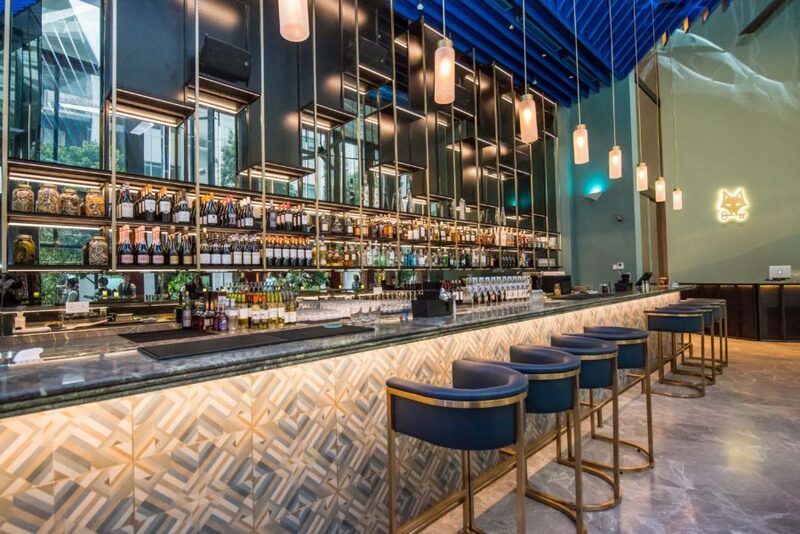 We sat down for a quiet evening at the Cin Cin bar, we were treated to a collection of well-loved and boutique gins, gin cocktails and over 500 different ways to build your own Martinis and G&T’s. Cin Cin’s impressive lounge is what greeted us the moment we stepped into the bar. 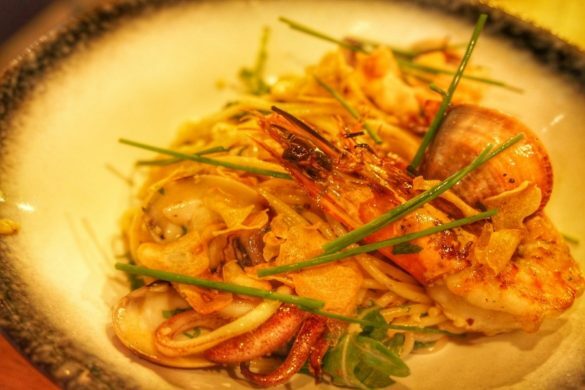 While trying to maintain a classic dining vibe with the blue hues and tones, it aims to create a cosy environment by putting their patrons’ minds at ease. 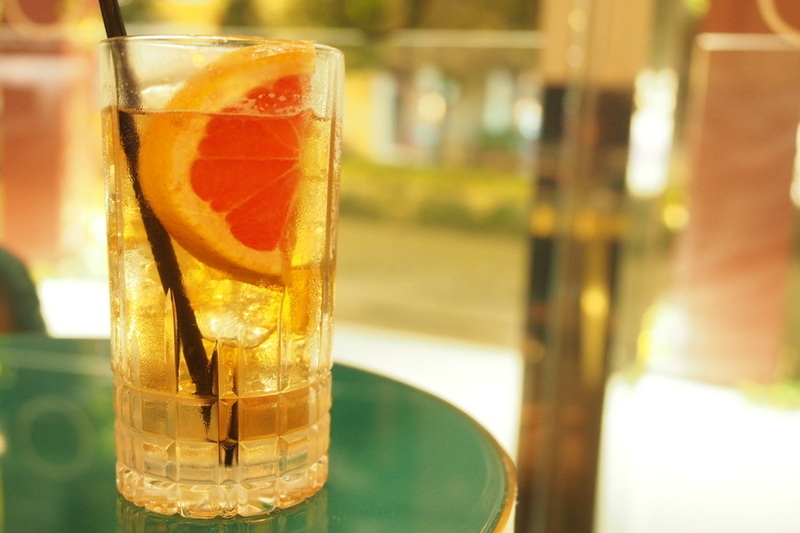 Cin Cin currently offers close to 100 different labels of gins that are sourced globally. Aside from the current list, the collection will continue to expand and evolve as they continues to source for the best selections from around the world. 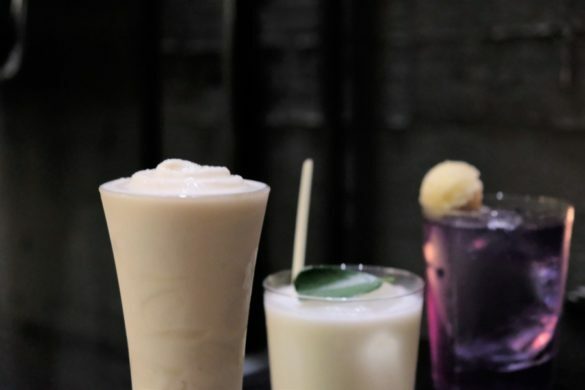 As a gin drinker, you end up with an endless list of gins for fully customizing your ideal gin cocktails. 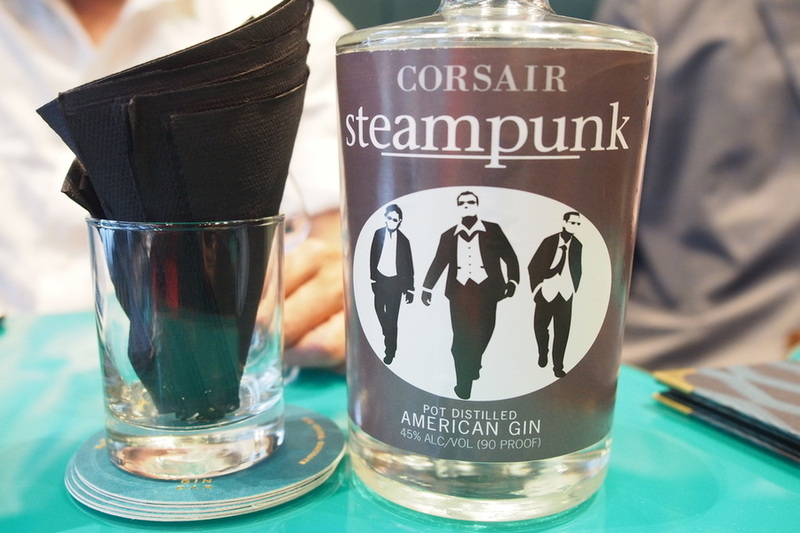 The Corsair Steampunk ($22) is a pot distilled American gin that is supplemented with smoked grain and hops. The characters of this gin are so unusual it surprises even the most seasoned gin drinkers. 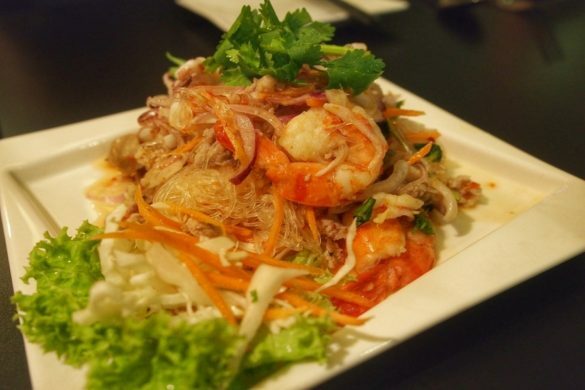 It delivers with solid tones and textures, encompassing with deep flavors. 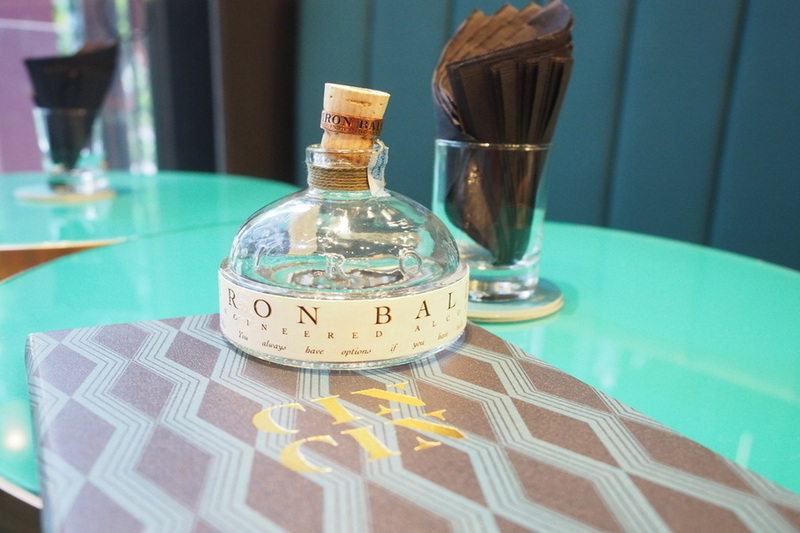 Meticulously crafted at A R. Sutton & Co engineers micro distillery in the heart of Bangkok, production of Iron Balls Gin ($26) is extremely limited. This gin definitely will be a great companion as it releases a fragrant banana flavor. 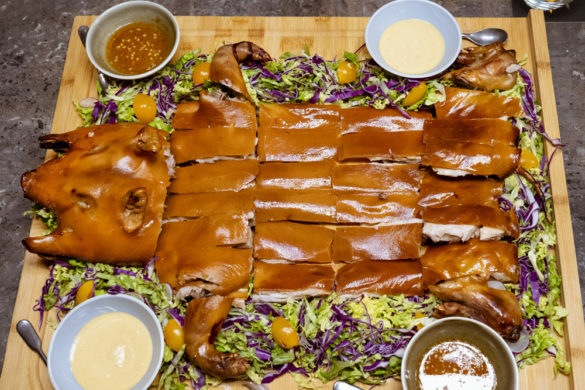 The best part is to go with your martinis. 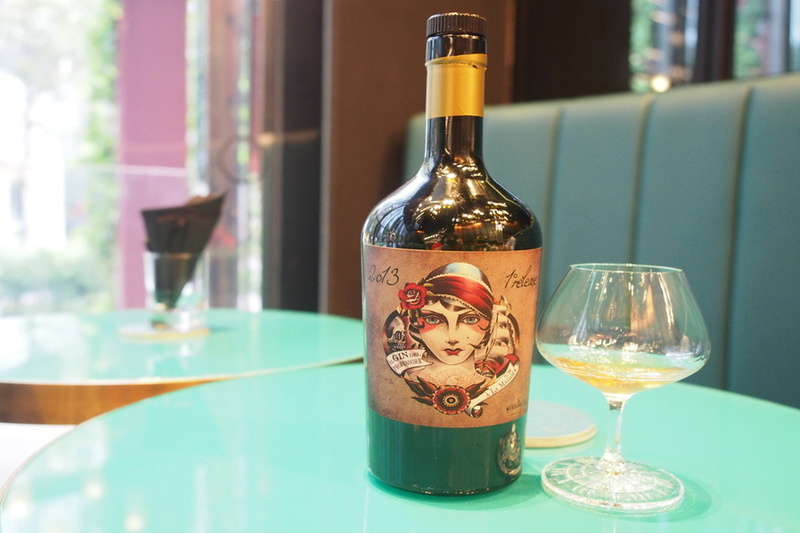 Del Gin Professore Madame ($17) is produced in batches of less than 3,000 bottles each time. It is much sweeter gin option than others. Last but not least, I had a customized Monkey 47 slow gin with grapefruit. The drink is very refreshing, bursting with fruity flavors. It marks as a lady’s favourite perfectly. Cin Cin prides itself in sharing with customers, the perfect way to savour these gins – from the optimal temperature at which they should be enjoyed, to the correct glassware, mixing techniques, measures and proportions. Come down and try their list of signature gin cocktails.